I celebrated my 31st birthday last week! 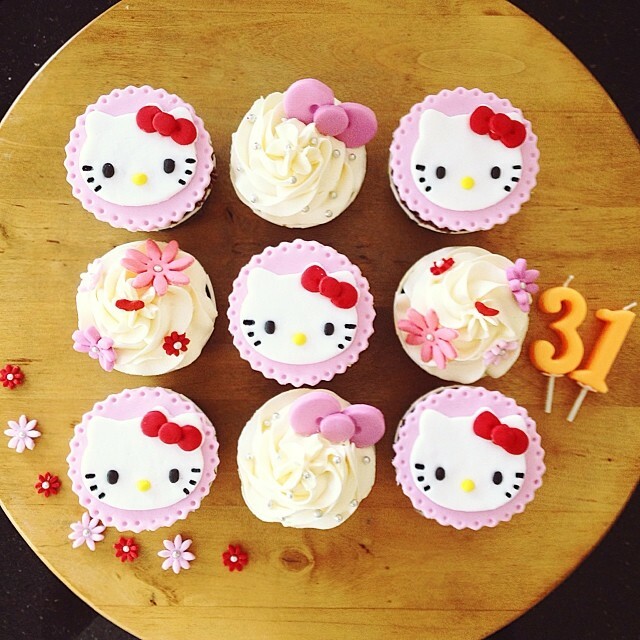 My lovely colleagues, who have become a bunch of great friends, bought me these supercute Hello Kitty cupcakes. It was too dark for a good photo but sweet baker @tinylikeme on Instagram took one right before delivery! Aren’t they too fantabulous for words? Photo courtesy of the super-talented @tinylikeme on Instagram.